The Ontario Rett Syndrome Association is proud to organize and host the 2014 Canadian Rett Syndrome Symposium. This will be the first time Canadian scientists, clinicians and representatives from the provincial Rett syndrome groups will be brought together! This exciting event is funded by O.R.S.A. and a grant from the Canadian Institute of Health Research. The purpose of the symposium will be to foster collaborations between Canadian scientists, clinicians and provincial associations who have an interest in Rett syndrome. The latest research developments will be shared and future investigations will be discussed with the goal of a Canadian Team research grant application being developed. Clinicians with a vested interest in Rett syndrome have never come together nationally. It is a goal of the symposium to allow time for discussion of care and management challenges, the establishment of RTT clinics in Canada and future collaborative support within the Rett syndrome medical community. In 1994, the Canadian Rett Syndrome Association board of directors met for the last time. The board included the president from every provincial association. Since 1994, some of the provincial groups have disbanded, others have struggled and a few groups have been developed. Today, there is a great need for all the Rett syndrome provincial groups to work together on national projects. The symposium will allow all provincial presidents to meet Canadian scientists, participate in discussions to share their provincial perspectives and to meet as associations to become reacquainted and identify national projects. In spring of 2014, the Canadian Rett Syndrome Registry (CRSR) will be launched. There is no doubt the registry’s establishment will be an exciting topic at the symposium. The CRSR will allow for a Canadian database collection regarding those living with Rett syndrome. This will in turn lead to future research projects and drug trials in Canada. Researchers, clinicians and associations all have an immense interest in the establishment of the CRSR. The coordinators of the symposium and the We “R” Family conference have created agendas that allow for researchers attending the symposium to also present at the conference. This will provide conference attendees with the most up to date research news. All the clinicians and provincial presidents who are participating in the symposium will also attend the conference. This will generate national dissemination of the valuable information being presented at the conference. 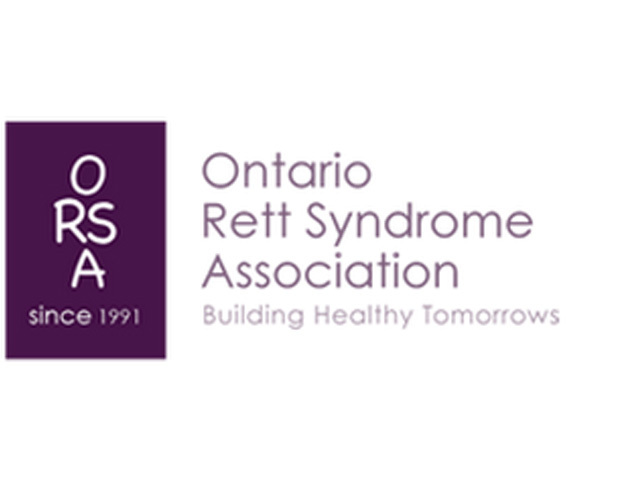 The Ontario Rett Syndrome Association looks forward to welcoming all invited attendees to the 2014 Canadian Rett Syndrome Symposium. Together we are building healthier tomorrows for all Canadians who live with Rett syndrome.